Merry Christmas and a Happy New Year to all Yoshitaka Members and their Families, plus friends of the USKW. Training resumes January 7th, 2013! 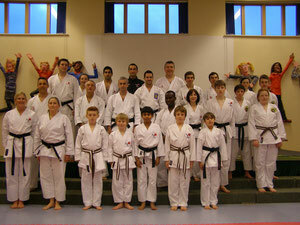 (18/12/12) Congratulations to the following Yoshitaka Karate-ka on their recent kyu grading success. Keep up the good work. J. Fullford, J. Parsons, D. Caswell, J. Thomas, G. Morgan, H. Parsons, M. Johnson, T. Jones, J. Thomas, M. Thomas, D. Bevan, K. Altamini, O. Taylor, A. Alikassab, C. Kanamarlapudi, N. Coady, B.Proctor Evans. F. Morgan, G. Harris, R. Killian, B. Hill, A. Phillips, A. Phillips. J. Evans, H. Hathaf, A. Hathaf, H. Hathaf, E. Owen, L. Hazell. L. Jones, A. Middleton, U. Rahman, N. Kanamarlapudi, D. Lucini, N. Barlow, M. Barlow. J. Richmond, J. Mac Gowan, C. Johns, R. Evans, L. Davies. K. Clewett, O. Wood, H. Snell. H. Davies, C. Jones, L. Humble, C. Thomas. As you know from previous years, December is a busy month for schools, so it is not always possible to train in our usual locations. * Please try to attend the last children's class on Monday 17th December as there will be a couple of surprises! Classes recommence on January 7th, 2012 at Bishop Gore Boys Gym. 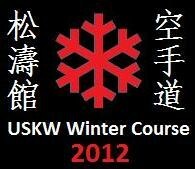 (09/12/12) For a full write up of the 1st USKW Winter Course please see the Winter Course 2012 page. (22/11/12) The first United Schools of Karate Wales Winter Course will be held on Sunday 9th December, 2012 at Sketty Primary School. Sensei Patrizio has arranged for a very special guest instructor to conduct the course - one of English Karate's most successful competitors - a great opportunity not to be missed! So if you are 8th Kyu or above be there! 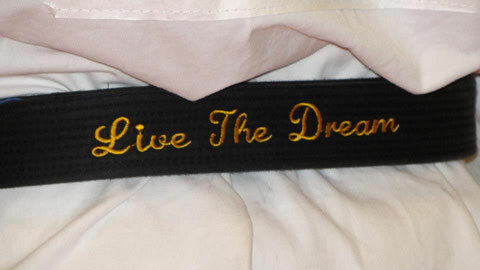 2.00 - 4.00 pm Brown and Black Belts (it is essential that you know kata Unsu for this session). Cost is £10 per session or £15 for 2. This is a fantastic opportunity for our members and will be extremely beneficial for those grading the following week. It is essential that you show your support for the club and attend this course if possible. If there is not enough support from within the club this will jeopardise the future of such events. So please register your interest with Sensei Patrizio as soon as possible! 2 Golds and a Silver at the Welsh Karate League! (18/11/12) Well done to H. Davies who won Gold in U10 Kata and Silver in U10 Kumite, and to L. Morgan who won Gold in U12 Kata. Well done to both and all who competed. (21/10/12) Another good day competing in the Welsh Karate League tournament at Maesteg: H. Davies wins Gold in U10 kata and silver in U10 kumite. L. Morgan wins a brilliant bronze in the U12 kata. Winning at the Welsh Karate Governing Body Invitational Open! (30/09/12) Congratulations to all the competitors who made the trip to Cardiff for the WKGB Open. Everyone did really well and Yoshitaka came away with 3 bronze medals. H. Davies won a Bronze in U12 kata,(3 kyu and above), L. Morgan won a bronze in the U12 kata,(novice) but the star of the show was S. Symmons who won a bronze medal in his first ever competition. Keep up the great work everyone. (01/07/12) This year's annual USKW course was a huge sucess, for more details please see our USKW Course 2012 page. After the course, ten Yoshitaka students took part in the Yushanda (Black Belt) Grading, for 1st to 3rd Dan, and Sensei Camillini is very proud to announce that all 10 passed! With 1 new Sandan (3rd level black belt) - a first for the club, 3 new Nidans (2nd level black belt) and 6 new Shodans (1st level black belt) it was a sucessful day indeed. The grading was overseen by Sensei Camillini and Sensei Rob Copeland (6th Dan - Head of Vale Karate). The 10 were put through their paces on Kihon (Basics and Combinations), Kata (Forms), Bunkai (Form Applications) and finally Kumite (Free Fighing). Each rank requires different techniques and a the higher the rank the more is expected to be demonstated at a higher level of expertise (see the syllabus pages for details). Everyone performed exceptionally well and Yoshitaka is especially very pleased to congratulate the new Yushanda (black belts)! Yet more vital expierence gained with Daisy just missing out in her heat of under 12 Kata. Lewis narrowly missed out in a second round match in his under 14 Kata group. Luke performed a very good Jion to clinch the bronze in the under 12 Kata and Harry gaining bronze in U 10 Kumite and gold in U 10 Kata. (26/05/12) This year's USKW Course will be held on July 1st, 2012 at Parklands School. (21/05/12) Brilliant results for Yoshitaka from the competition at the weekend, everyone did very well indeed. Daisy continues to improve but was narrowly beaten in the 1st round of her kata. Luke's great kata reached the 2nd round. Harry built on his excellent performance from the previous competition and placed yet again. Bronze in both kata and kumite! Well done to all the competitors, more valuable experience and everyone is improving. Thanks also to our supporters, and the competition officials and organisers. (01/05/12) Please note due to the Bank Holiday the Monday session has been cancelled. See everyone as normal on Wednesday. (16/04/12) Sunday April 15th saw a small squad from Yoshitaka travel to Cardiff to the Welsh Karate Governing Body Welsh Closed Competition. The day started off in a promising fashion with H. Davies going through round after round in the under 10s Boy’s Kata. He presented an excellent display of Kata throughout which earned him a well deserved place in the final. Unphased by the final he preformed a sharp rendition of Heian Godan which was rewarded with a silver medal. Next up was L. Humble, who had stepped up to the 13-15 year old Boys Kata. He too reached the medals and with great form and a very strong kata captured the Bronze medal. Next up was Female and Male Senior Kata, everyone performed very well, regardless of a couple of nerves. Although Yoshitaka’s performances were sharp, sadly there were no medals this time. Experience was gained and our Senior Kata competitors will no doubt approach the next competition with more confidence given Sunday’s great performances. The afternoon session was dedicated to Kumite, and once again it was H. Davies opportunity to shine. Our only Kumite competitor of the day certainly didn’t disappoint winning his first two bouts 8 points to nil. His crisp sharp techniques and his distancing paid off time and time again as he scored some lovely, controlled techniques. Again after a confident series of performances, only having two points scored on him over several rounds, he found himself in the final. He was very patient, taking every opportunity he was given to score plus creating some great chances too. He was first to score, and confidently stayed ahead for the whole bout, which ended in him being awarded the Gold and crowned Welsh under 10 Boys Kumite Champion. Well done to all our competitors, everyone did very well indeed. Thank you to our supporters! Yoshitaka has some competitions coming up in May, so if you are interested speak to Sensei Patrizio during class. Training Times Changes over Easter. (29/03/12) Please note that the Senior and Advanced Class on Monday 2nd April will be held at Sketty Primary School. Yoshitaka will take a very short break over the Easter holiday. No training Good Friday, Holy Saturday or Easter Monday then back to work getting ready for grading on Wednesday! Yoshitaka Karate Club wishes all members and their families a happy Easter. (19/01/12) Interested in the annual trip to Italy for the Sensei Pinna course? Please see Sensei for details. (09/01/12) Many congratulations to the following who have passed their Kyu Grading on the 18th December. (01/01/12) Happy New Year to all our members past, present and future and their families! Training starts back from Saturday 7th January at our usual time and place. On the 9th January Adults class which will be held in Bishop Gore School (Boys Gym). After that training will resume as normal.